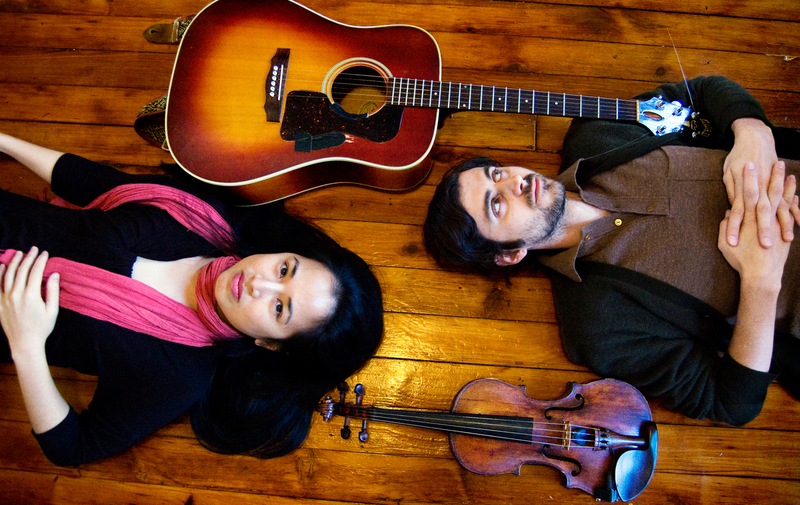 Brooklyn-based fiddler/violinist Dana Lyn and guitarist Kyle Sanna bring their inventive arrangements and nuanced interpretations of traditional Irish music to the Center for New Music. Hailed as “ground-breaking” by noted folklorist and NEA Award-recipient Mick Moloney and “bursting with creativity” by renowned fiddler Kevin Burke, Lyn and Sanna connect the dots between their experience as composers and improvisers and their deep admiration for traditional music. The duo has collaborated with some of the greatest living interpreters of Irish music, including Martin Hayes and Dennis Cahill, Cillian Vallely, Kevin Burke, and Susan McKeown, as well as with actor Vincent D’Onofrio. This concert will celebrate the release of their second album, “The Great Arc”.